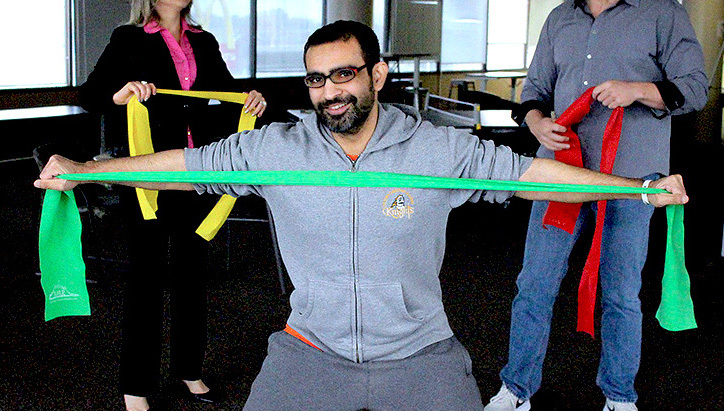 Workplace fitness for smart people! NERDbody explained by the Ancient NERDbody Warrior Hey, I want to ask you a quick question! If there was a fun, simple easy, no-sweat way to boost your fitness, your focus, your energy, your performance every day at work and the total time per day took less time than your typical coffee break, would you be interested? 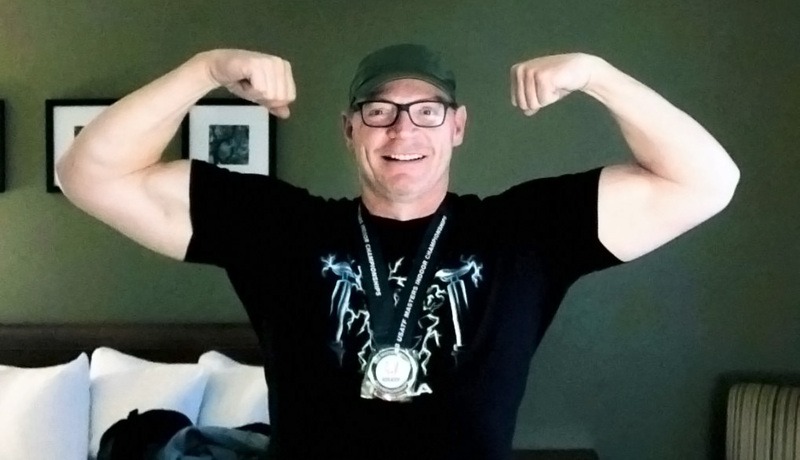 I'm Scott Eriksson, and i'm the founder of NERDbody and that's exactly what NERDbody is! 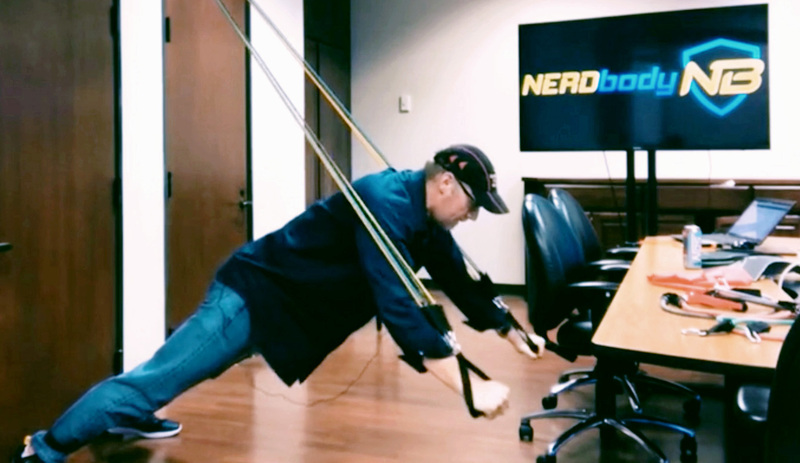 NERDbody is four short one to two minute activities that you do throughout the day. There are over a hundred and fifty different activities in the NERDbody library but you don't even need to think about it, because we send a reminder directly to your phone with a link to a short 30-second NERDbody activity video. You just view it and do it! 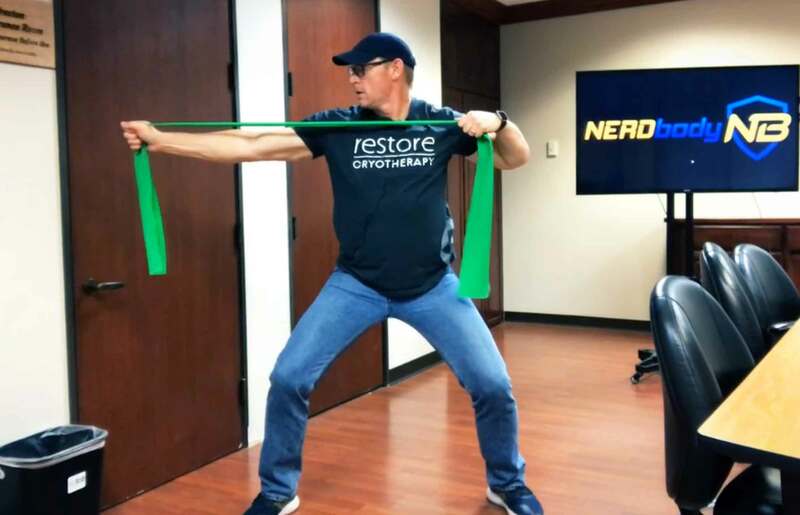 NERDbody is a great way to improve your mobility, your posture, your strength, your metabolism because those are the things that suffer the most when we spend all day working with our brains and ignore our bodies. NERDbody isn't just about physical fitness either, NERDbody also boosts your mental productivity. We get feedback from our members all the time how amazed they are and how clear they think. They are amazed at how focused they are throughout the day. They're amazed that they don't get that afternoon crash and here's a really icing on the cake - they're amazed how much energy they have now after work to participate in life, and really this is what it's all about, let's love our work, let's be excellent at work, let's not suffer for it physically and let's really get the most out of life. Right now go to the NERDbody.com and sign up for your two free week trial period there's no obligation you have to enter any payment information we just want you to experience the NERDbody effect firsthand and we look forward to seeing you in NERDbody nation. Go to NERDbody.com and sign up today. NERDbody can really be done anywhere Can you really do NERDbody anywhere? Of course, check it out. In the Office, In the Mountains, I the fitting room at Walmart, At Starbucks, at the Ukranian embassy, in Yosemite, at the Beach. Have Fun Improving your Fitness, Energy, Effectiveness. "Physical fitness is the basis of dynamic and creative intellectual activity." "Fuel your body with movement, your heart with possibility and your mind with opportunity." "Strength does not come from the physical capacity. It comes from an indomitable will." "All the geniuses and greats are really just nerds with experience." done Mon-Fri NERDbody sends 4 reminders to your phone or email. done Each reminder includes a short video of NERDbody activity. done Each activity only takes 1-to-2 minutes to complete. done Just View It, Do It, Track it, and Share It. "Well Done is better than Well Said!" Benjamin Franklin. I don't even think of it as exercise. It's four simple activities that I do during the day. And the benefits are physical and mental." 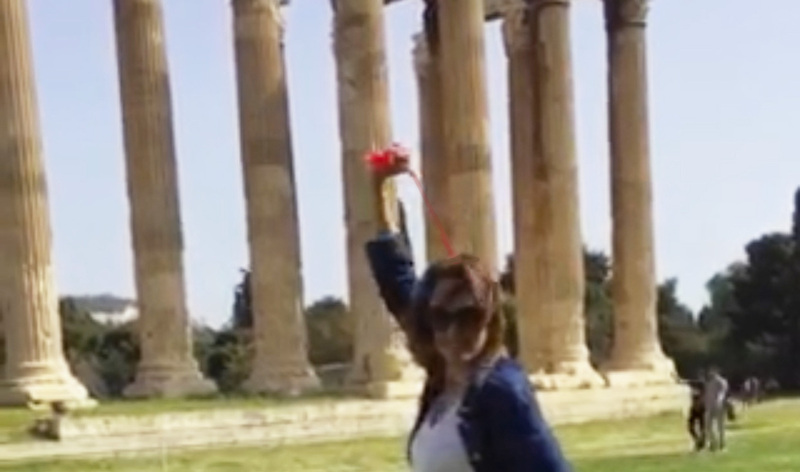 It's not uncommon for a NERDbody Coach to have a member from the NERDbody community demonstrate an activity. NERDbody helps busy people like you. 4 reminders per day M-F.
Access to the NERDbody Library. Everything in the Basic Individual Plan at lower price. Billed in six month increments. Fitness made Fun with a Friend. Individual plans PLUS Group Leader Board Group Encouragement. Boost the the health, morale, energy, enthusiasm and productivity of your organization through our special team based programs and services.